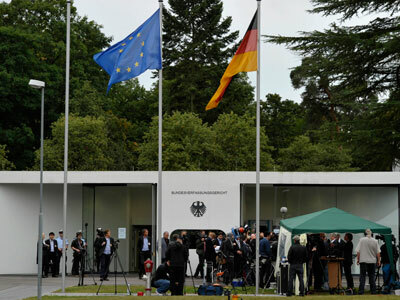 World markets traded higher Wednesday after the German Constitutional Court greenlit a eurozone rescue fund. 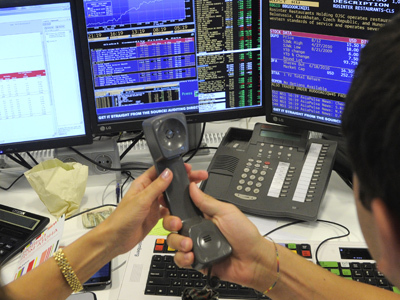 Traders are now awaiting the outcome of a decision by the US Fed on more monetary stimulus in the country. A hearing of the Federal Open Market Committee (FOMC) on Thursday will likely be the main focus of investor’s attention. A decision on fresh monetary stimulus, or QE-3, will be one of the key market events for 2012, analyst Ilya Rachenkov of Investcafe said. The Wednesday passage of the European Stability Mechanism (ESM) – a permanent eurozone bailout fund – will allow the European Central Bank to buy sovereign bonds in an effort to lower interest rates and boost economic growth. Most European stocks rose on the news. 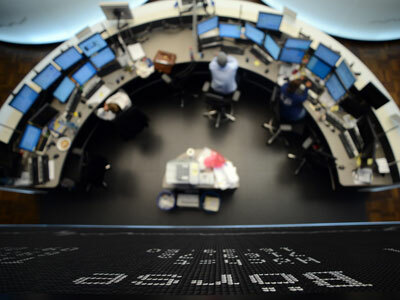 German DAX was up 1.9% at the close of Wednesday trading, and France's CAC 40 added 1%. Asian markets, which closed before the German court decision, also ended higher. 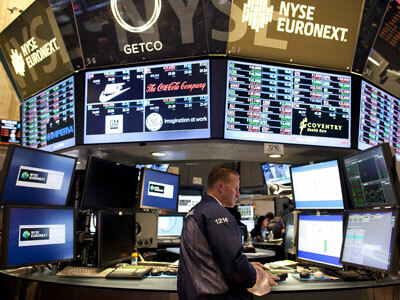 In the US, the Dow Jones added 26.14 points, or 0.20%, to end at 13,349.50. The S&P500 climbed 4.15 points, or 0.29%, to 1,437.71. 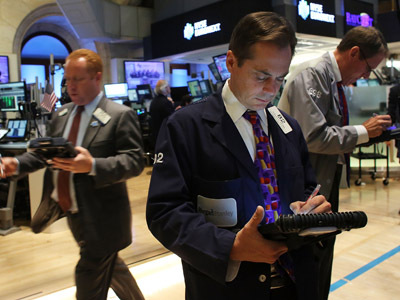 The Nasdaq added 10.16 points, or 0.33%, to reach 3,114.69. Markets were boosted by trades of Apple Computer shares, which added 1.4% following the unveiling of the hotly anticipated iPhone5. Russian markets traded mixed on Wednesday, likely because investor’s positive expectations of the eurozone bailout were already priced in, Malikov said. The RTS added 0.09% to end at 1,483.86 and the MICEX climbed 0.03% to reach 1, 478.54.